The American Lighting Association (we are members) is a great resource for all things lighting. They send out a free E-Newsletter each month always filled with information you can use when thinking about lighting for your home. Their latest newsletter talks about rooms with multiple uses, in particular family rooms. 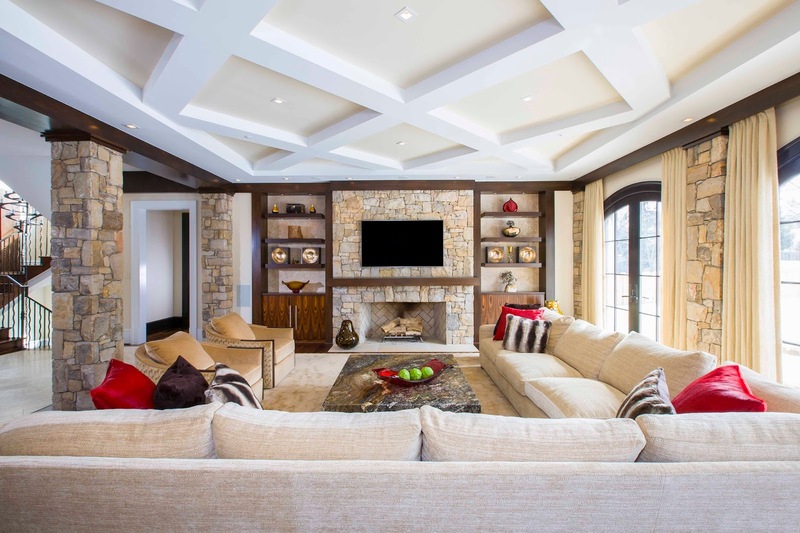 A family room that doubles as a media room requires lighting that can be adjusted to minimize glare and shadows while providing ample illumination for varying activities. The holiday season is right around the corner, making this the perfect time to get ready to entertain family and friends. Whether those guests are coming just to watch the big game or to stay for an extended period of time, your media space will no doubt be a popular gathering spot. And lighting mixed-use spaces can be tricky. The types of fixtures typically used in a multi-purpose family room are different from those suited for a dedicated media room. In a mixed-use space, multiple layers of adjustable light are necessary to suit different tasks and myriad light requirements. Inside and outside light affects TV viewing. When lighting a media viewing space, it is imperative to consider all sources of light. Natural light from outside is as influential as light from indoor fixtures. Multi-purpose spaces generally have windows, which create the need to control that light during the daytime as well as at night when even minor reflections can be distracting. Just as important as your light source is the time of day and season, all of which affect the amount of light coming in as well as the angle and intensity of the light. Having a versatile controls system can help. A space that doubles as a both a media room and family gathering spot requires lighting that can be easily adjusted. Lutron's Caséta Wireless system can control lights, window shades and room temperature with one device. Want to know more? Visit us! We have ALA Certified Lighting Specialists in each of our lighting showrooms. But remember, lighting design takes time, it is best to make an appointment if you'd like to go over blue prints or plans.